Think about your pallet racks. Now think about how safe they are. If the answer to that makes you sweat, there’s good news: pallet racks and what’s stored on them can cause various hazards, but pallet rack safety is very easy to improve. 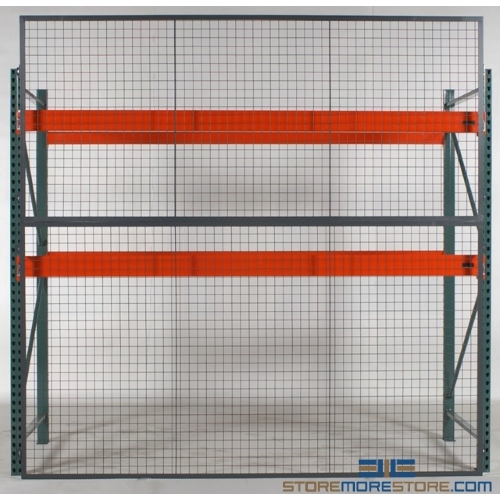 One solution is with pallet rack guard panels, which attach directly to the back of your existing rack uprights. This keeps stored items secure from falling or shifting and keeps your employees safe. Unlike netting that is designed to catch falling items, the wire panels keep anything from falling in the first place. Each of the pallet rack guard panels has mounting brackets that allow it to attach directly to the rack. These mounting brackets are available in flush or offset options; simply choose the one you want on the product page before adding the panel to your cart. Offset brackets, which are available in 1″ – 3″ or 4″ – 6″ sizes, allow loads to overhang the rack beams to prevent damage when loading. The panels can also be mounted to support posts if you have a standalone system. It’s easy to combine the panels to reach the height you need by stacking the panels on top of each other. You can install the panels on or above the floor depending on the level of protection you need. Installing the panels is a breeze. We provide all the hardware you need, and the angle frame design allows clear access to it for installation. However, the assembly hardware is inaccessible from the panel’s exterior so you can prevent any potential tampering or security concerns. 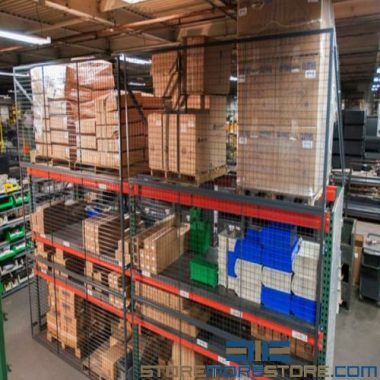 Pallet rack guard panels are available to buy online and ship within 15-20 business days with free dock-to-dock shipping included. If you need any assistance or just want some help picking the right solution for you, please call us at 1-855-786-7667.